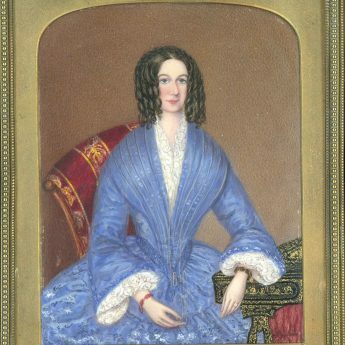 This quirky pair of ¾-length cabinet-sized portraits are striking for their vibrant colours and masses of fine detailing. 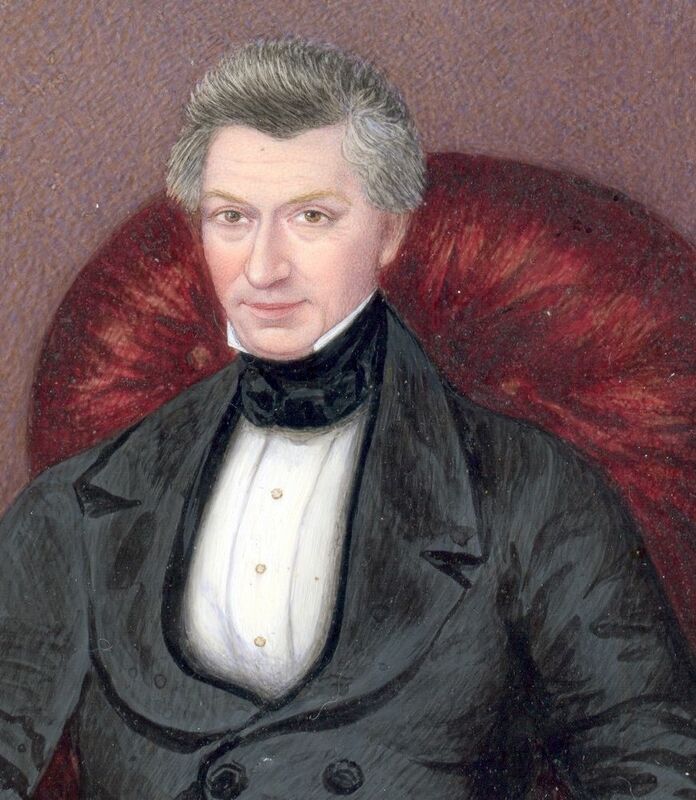 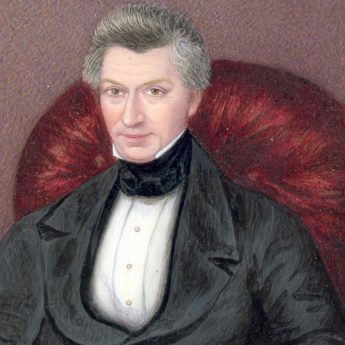 With his brushed-back grey hair, the gentleman is looking distinguished in a double-breasted frock-coat and black stock. 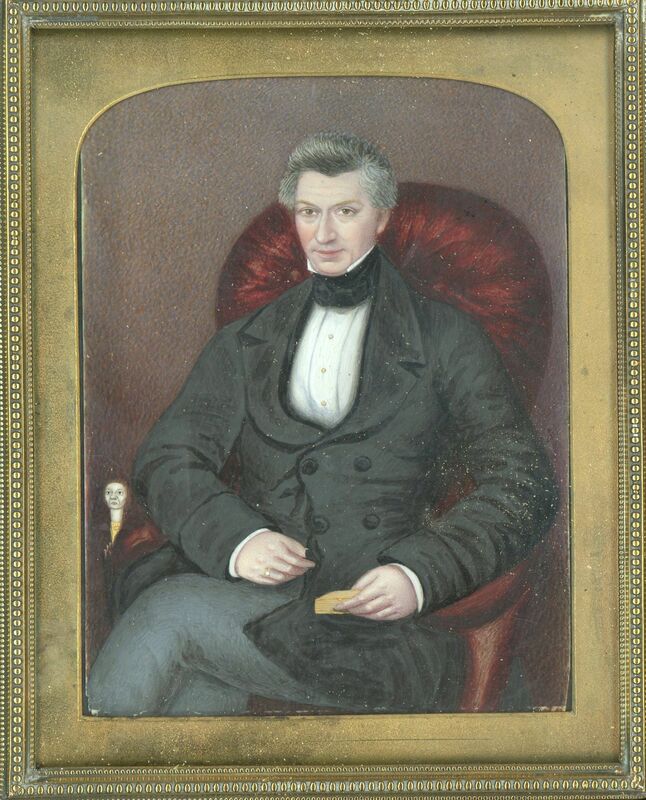 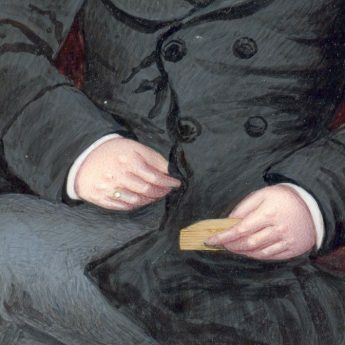 Seated on a plush button-backed armchair, he is shown holding a gold snuff box. 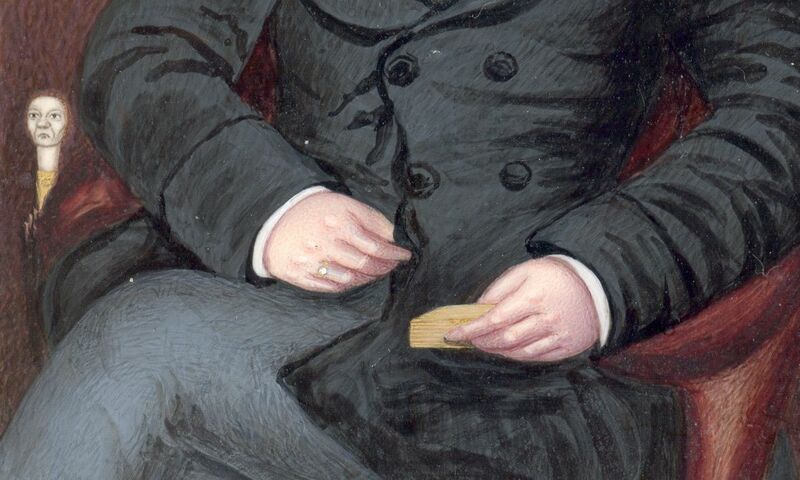 The most striking detail here though is the curious walking cane with its gold collar and ivory smirking face that rests against the arm of his chair. 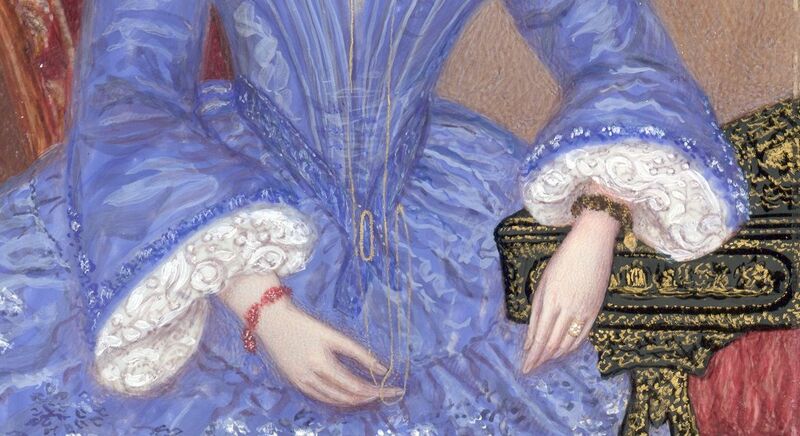 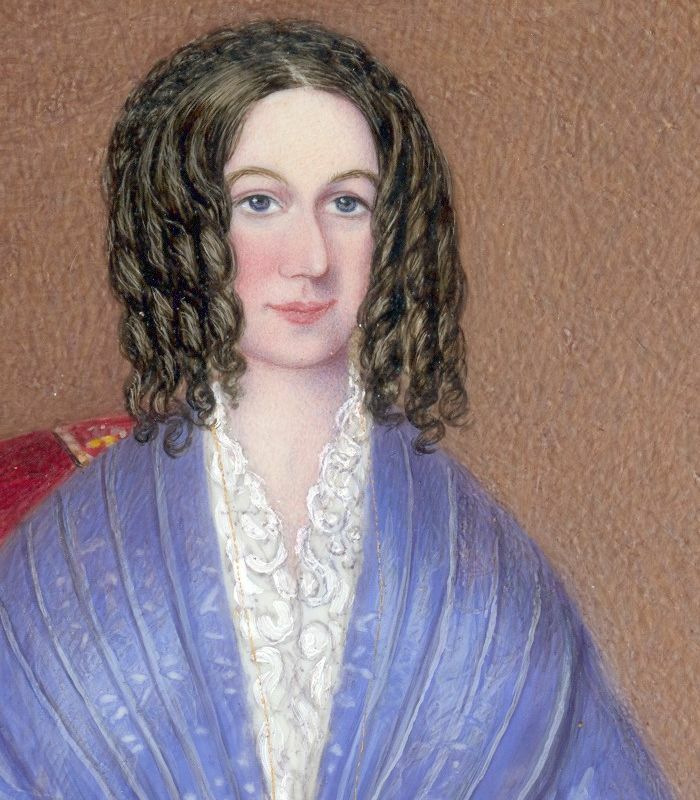 Meantime, seated on a red and gold upholstered chaise, his wife is wearing a splendid cornflower blue dress with a deep V neckline (worn with a lace chemisette for modesty), pleated bodice, pointed waistline and bell sleeves worn with engageantes (washable half-sleeves underneath). 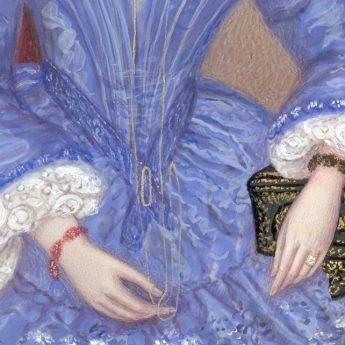 She is well bejewelled too with a gold buckle, a super long gold chain about her neck, a pearl ring and two colourful bracelets. 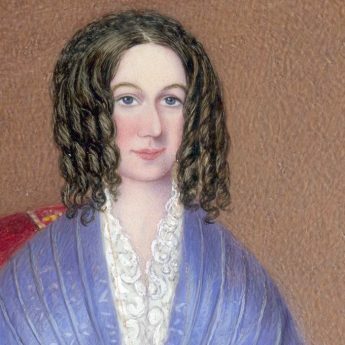 Her dark hair is fashionably arranged in long close ringlets. 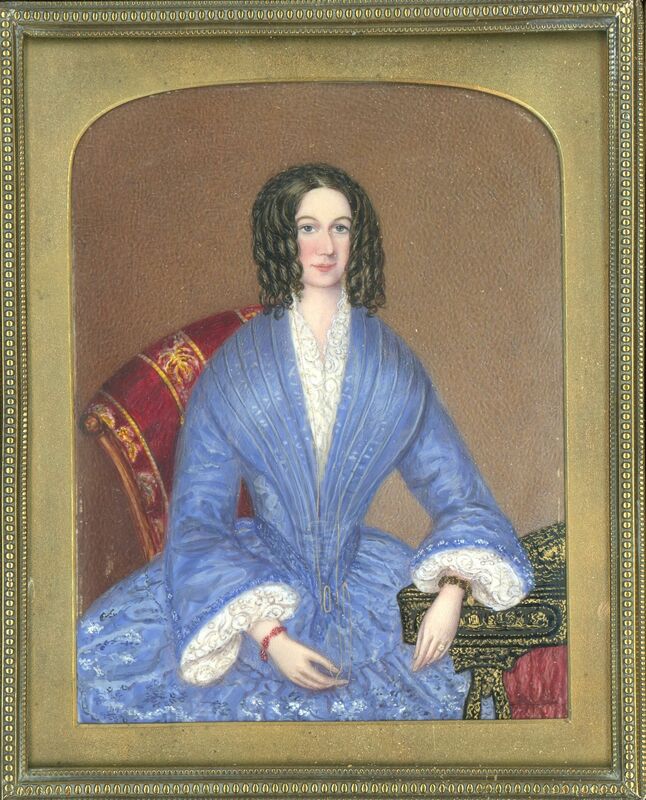 It is though the Chinoiserie lacquered sewing table with its pierced legs that most draws the eye and completes the portrait.